"Vyral Marketing elevated our inquiries almost immediately. The ROI actually exceeded our expectations, which allowed us to relax and gave us freedom to enjoy the process and make it our own. [Before Vyral Marketing] it was stressful, we weren’t doing what we wanted – there were too many moving parts. The appeal of partnering with Vyral to produce these educational videos is their ‘done-for-you’ strategy because they really do take care of everything. My Success Coach fills me in on topics are working for other real estate agents and what trends are hot at the moment so I have a head start creating my videos." 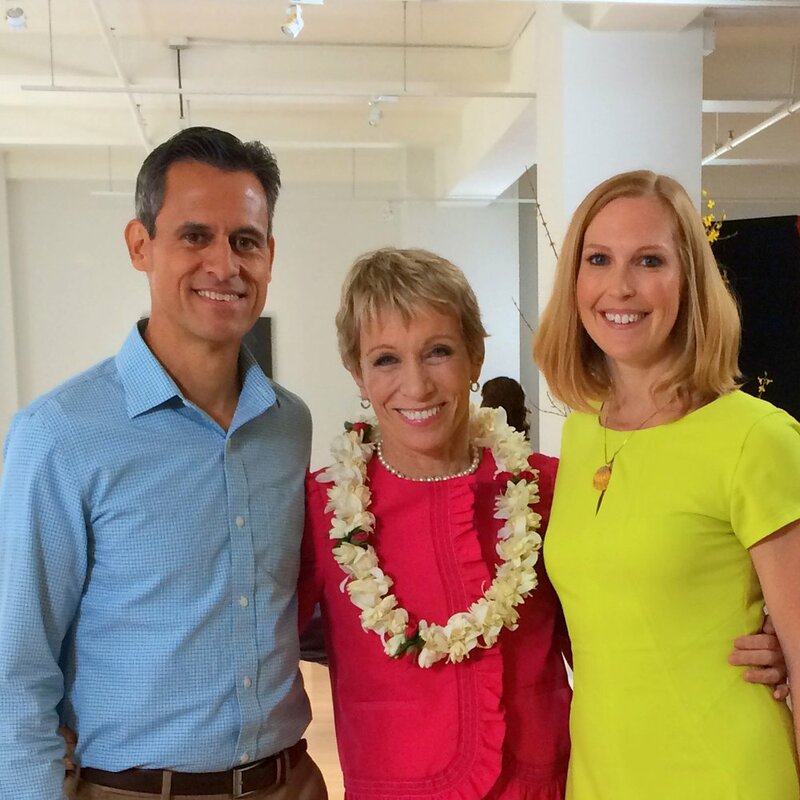 Adrienne and Attilio are the #1 Realtors in Hawaii and will sell $60 million in homes this year. In this Google Hangout they reveal how they would re-build their real estate business from scratch if they had to start all over again today. You'll learn how to position yourself quickly as the go-to authority in your market by building a database, sending them educational videos, and following up with the people who watch them for appointments and referrals. You'll also learn how to use co-marketing with local business owners and the local and national media to enhance your exposure - among other strategies working for them to leverage their efforts with marketing (attracting business to you). Whether she’s strolling one of Oahu’s beautiful beaches, or playfully tossing a pie in the face of her colleague Attilio Leonardi, Hawaiian Real Estate pro Adrienne Lally puts a unique twist on each new Vyral Marketing informational video she delivers to her email list of customers, past customers, future customers and business associates of more than 4,000. One of Hawaii’s hardest working real estate professionals, Lally incorporates a magnificent Oahu backdrop, local business venue or community landmark in each of her 30-60 second video blogs, part of the Vyral Marketing done-for-you customer database marketing service. Each short, educational video focuses on a topic that is currently hot in the Oahu real estate market. Lally is one of a growing number of business and real estate professionals nationwide who have benefitted from the marked boost in customer interest since incorporating Vyral Marketing’s video messaging package in their marketing strategy. Lally successfully adopted Vyral Marketing’s advisory services, which include writing, editing and distributing each video to her entire client database, while managing to inject her own signature into each video, giving her the opportunity to speak directly to her customer base in a fun, down-to-earth manner they can relate to. Lally said that before she began working with Vyral Marketing, the firm had tried to create a video blog series on their own, but it proved too much for the limited amount of time and technology they had on hand. “It was stressful, we weren’t doing what we wanted – there were too many moving parts. With Vyral Marketing managing all the administrative and technical tasks, Lally can focus on bringing fun and local flavor to the short, informative videos she creates twice monthly for her customers. Once each video is filmed, it is uploaded to Vyral Marketing for processing and distribution, and she can get back to business knowing the rest is taken care of. In addition to monthly strategy conferences with her Vyral Marketing Success Coach, Lally says she can contact him whenever she has questions or needs expert input. Lally’s videos are based on hot topics that tie in with subjects discussed on the “Team Lally” radio show that airs every Saturday. Lally’s real estate firm was ranked in the top 20 Realtors for 2012 by Hawaii Business Magazine with more than $28.6 million in sales last year alone. She attributes the firm’s success to its willingness to reach out to home buyers at all economic levels, making it the busiest real estate firm in the State of Hawaii. Frank Klesitz, CEO of Vyral Marketing, says that the video blogs Lally and other Vyral Marketing customers distribute twice monthly provide them with the chance to position themselves as trusted experts in their fields, increase customer loyalty, and boost referrals and repeat business. “It is the best way to utilize the number one asset business owners already have, which is their existing customer database,” Klesitz says. “We help our clients get more sales from their entire customer database with minimal time expenditure.